To reflect on the year and showcase 2017, I interviewed Michael Briggs and Rachel McLean. Both perspectives provide insight in how to ready your business for the opportunities ahead. Michael Briggs has lived and breathed digital, content and social media marketing for the past 12 years. Having worked within some of Sydney's leading media agencies as a Digital Planner and Strategist and across some of the country's biggest finance, entertainment, consumer electronic and FMCG brands, Michael has balanced his work alongside a passion for sport and psychology. Rachel McLean has worked with over 500 small businesses across Australia on developing social media strategies that create brand exposure, lead generation and highly engaged online communities. Rachel regularly speaks at business events and is passionate about educating and upskilling the small business owners of Australia on all things social. What’s changed over the last 12 months? Michael: Ask any marketer and they will tell you that 2016 was the year where their jobs became infinitely harder, due in large part to the proliferation and wide-spread adoption of ad blocking software. Most sources will quote around the 10% mark here in Australia, but exactly how accurate that is now is almost irrelevant - the fact we are talking about it and giving it air-time is proof that it is of a real concern to marketers and their agency partners. Agency heads and marketers are kidding themselves if they think this trend will go away - as when you consider the cultural context we live in today, it is clear people are returning to traditional values of which time, privacy and intimacy are just as important as hedonism and escapism. We’ve also talked about this concept of disruption for a couple of years now, but I think one of the big changes I have noticed over the last year is how big business is adopting the entrepreneurial mentality of their start-up counterparts. I work for a large financial institution and, over the last few years since I’ve started, I’ve been amazed by how ingrained this culture of ‘failing fast’ has become. This lean, agile way of working may have existed in pockets of organisations in the past but from what I have seen is starting to become a real focus. It is an attitude that, responsibly, is starting to permeate through multiple layers of organisations - from how they approach CX and UX, to customer service, to their advertising and content strategies. And rightly so. Rachel: We’ve seen Snapchat gain competition in the form of Instagram Stories, Facebook Live becoming more commonplace with big and small business as well as celebrities and influencers. In my newsfeed and in my inbox I'm seeing more and more information products being promoted. We’ve seen industry disruption from Uber and Youfoodz. What these things all have in common is ease of access and a sense of immediacy. What do you foresee as social media trends in 2016? What’s beginning, and what’s ending? Michael: From what I have seen, some of the smaller networks such as Instagram and Snapchat will start to become real considerations for marketers who are desperate for some organic and authentic ways to connect with their customers. Facebook, whilst still the supporting pillar of any social distribution strategy, feels like it is fast become an ad network in and of itself as opposed to the ‘brand community’ it was once heralded as. As a result, intelligent and tactical content campaigns utilising Custom Audiences will become more common as brands realise they need to relax their stance on data sharing as their competitors get the edge. Rachel: We will see much more video and live streaming content replacing the traditional blog. These videos won’t necessarily be long, but little micro blogs – just like Snapchat and Instagram stories. We’ve seen Facebook introduce “my day” to their Messenger app which is another indication that we’re moving into a realm of micro-blogging and micro-stories. Today’s millenials are multi channel users across multiple devices. How does this change marketing strategy? Michael: I think this is something that most marketers have come to expect. 85% of them own a smartphone, 84% of them have a social media account and rely on social not only for their news, but also reviews and product information. Despite all of this, TV still remains the most preferred form of entertainment. For marketers, it just places greater emphasis on producing work that cuts throught the clutter and truly resonates; as well as taking the time to carefully tailor it to different channels whilst understanding the habits and constraints that exist around time, connectivity and attention. 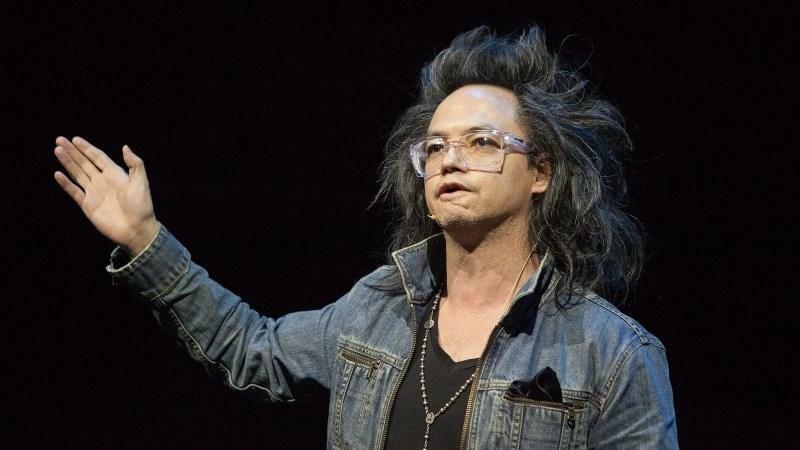 Digital Prophet for AOL David Shing cites 3 important elements to tapping in to this time poor but hugely important audience, and that is ‘co-create, recognise, reward’ and I absolutely agree with this. To do this properly, however, requires a carefully mapped out content and data strategy, support from your peers and just a little bit patience. So the multi channel experience must be taken in to account as part of your content strategy, but how you involve, how you acknowledge and how you incentivise your audience are arguably just as important. It’s quite simple really. Find out where your audience is, what is important to them, understand the cultural context in which they live and the challenges they face and produce something which delivers real value for them, not for you. Rachel: If millennials are your target audience, it’s important to make sure you have a multi-channel presence. I’ve seen celebrities such as Kim K and Beyonce use Instagram to promote content exclusive to Snapchat and similar instances such as that, which is a really clever way to build followings on other platforms and also make followers feel special through access to exclusive content. Organic traffic from social media sources is down, with many social media channels increasingly becoming a pay to play medium. What’s your view on this shift and advice to marketers? Michael: I think it is inevitable, and to a large extent understandable that these networks are being more commercially-minded. My advice to marketers is simple. Firstly, understand the true value of the data you already have at your fingertips through your data/insights team (if you are lucky enough to have one) or CRM as you need to ensure your experience is right for your own customers before you focus your efforts on attracting more. Use this data through 3rd parties like Facebook and Twitter for qualified reach, and carefully plan out the ‘who, what, why’ of your content strategy to ensure you are delivering something of real purpose. The ‘spray and pray' days are over. Secondly, don’t be afraid to test things so long as you can link the performance back to something meaningful for your business. New networks, new formats, new content - find the perfect mix that is right for your brand as there is no such thing as ‘best practice’ anymore, and the concept of a social media ‘benchmark’ seems useless nowadays when the nature of content strategies vary so dramatically. Rachel: A free ride is great – but with any form of advertising, you usually have to pay. I believe you have to spend money to make money, so marketers should have a set social media budget to work with each month. If a business’ cost per lead acquired was $100 and that customer was worth $500, of course you’d find the budget. On mediums like Instagram (stories) and Snapchat, expiring content has been one of the evolutions in social media recently. What’s your view? Michael: I don’t see how expiring content could ever be considered a reliable channel for marketers, as measurement around engagement would either be hard to quantify or non-existent. Platforms like Snapchat, I think, realise this which is why they have developed a range of interesting formats and offering for brands to utilise. From long-form video to formats which can cater to an entire magazine’s worth of digital editorial, I think this network is one that will provide real value for brands seeking an alternative to Facebook. Attracting 3.9 million Aussies per month is a fair effort also! Rachel: It’s FOMO! We all have the need to stay current and up to date – whether it’s with our favourite TV show or the latest Instagram story from an influencer. We have that fear of missing out on a crucial piece of information or plot point – which is why expiring content works so well at maintaining and growing a following. Social Media Examiner's Michael Stelzner said 2016 would be the year of live video. How should marketers approach video? Michael: I’m going to be boring and say that it is impossible to answer this question without more of an understanding of the brand, it’s audience and the challenges they currently face. However, whether it is live video or not - the important thing is that your content programs are influenced by audience insight and are data-driven in how they are presented. For example, a campaign I recently launched for Asteron Life titled ‘PerspectLive’ was influenced by research which suggested that 30% of Australians would wait for something significant to happen to them before taking out a life insurance policy. This statistic uncovers all sorts of interesting insights such as the capacity for Australians to risk the wellbeing and financial future of themselves and their families. We used this to develop a program that centred around reinforcing the benefits of life insurance in a way that spoke of the important lessons learnt from those who had experienced adversity, and how their perspectives on life had shifted as a result. An example of how an audience insight meets basic human truths. Rachel: Moving into 2017, marketers should begin to look for opportunities to turn their videos into live streaming or live broadcasts. The future is live video streaming. One of the emerging trends Jeff Bullas talks about is how social media is transforming business in a trust economy. What’s your perspective on how businesses should manage and promote their online reputation? Michael: Alongside a robust strategy to capture and manage data, I think creating a fostering a culture of trust with your customers is a very close second. Businesses should place the same focus on building trust in their customers as they do their staff. To me, it comes back to maintaining a focus on creating value FOR your customers, not FROM them. Tell, not sell. Lead with a story influenced by insight. Show them that you understand them and what makes them tick. Reward them for their positive interaction. They don’t have to do this, so acknowledge them when this happens. Rachel: It’s all about thought leadership. We’re trusting big brands less and less, and doing business with influencers and ambassadors – with real people. We trust people that stand out and promote themselves with honesty and authenticity more than the brand they stand for. Big and small businesses should look for opportunities to build relationships with their online communities through establishing their people as thought leaders. Many marketers are beginning the content marketing journey. What advice can you share in what to do and what not to do? Michael: I would firstly suggest that your superiors are on board, and understand how this method differs from the more traditional digital marketing approach. Having the support of those around you gives you the freedom to plan out a program without the constraints and pressures of your bosses. Make sure they understand that, whilst ROI is at the forefront of your strategy, these things take time to gather momentum. Secondly, I would subscribe to the Content Marketing Institute and read everything Robert Rose has ever written. If you are starting your content marketing journey, I would download this e-book to get you going. Lastly, I would suggest trying to get out of the habit of trying to define what ‘content’ is, what ‘content marketing’ means or worrying about formats and channels too soon. Start with the insight, build out a story (how you intend to package this up) and ensure there is something valuable for your audience to take away. Content marketing should be considered a philosophy that focuses on the provision of customer-centric experiences and utilities. Nothing more, nothing less. If it sounds too broad, that’s because it is - and it’s meant to be to preserve it’s creative origins. Rachel: Look at what works well for other businesses. Look in your own personal newsfeed and take notice when you see content that makes you laugh or cry. The next best thing is to try new things and see what works and what doesn’t. What works for someone else might not necessarily work for you. According to Jay Baer, one in four Americans ages 12-54 listened to a podcast last month and the same number of Americans listen to podcasts and use Twitter. What’s your view on the rise of podcasts and how does this fit into content marketing? Michael: Podcasts are a risky content play in my opinion. Risky as they are completely dependent on the narrative that you build, and the story that underpins it. I think most marketers would be lying if they said they’re ears didn’t prick up when they heard of the success of “Serial”, but the reality is that you need to be prepared to entertain first, and sell second. So if you don’t have something interesting to say, and have a plan on how you intend to captivate people week-in week-out then you’re in trouble. After all, you can’t put lipstick on a pig. In my opinion, podcasts work best when you are working with a clear and present customer problem; and one that most people face at some point in their life. For example, adjusting to life as a new parent or buying your first house. These are all instances where there is a real opportunity to delve in to the problem, draw in experts in the field to provide their opinions, document progress in real-time and uncover solutions in a way that makes your brand relevant. Rachel: My partner is a podcast addict! He doesn’t read books anymore – just podcasts. His reasoning is that he doesn’t have time to read a book, but spends so much time in the car that podcasts are perfect. I know other people feel the same way about consuming content via podcast. If you’re considering starting a podcast, it needs to be unique, it needs to meet the needs of someone, and should also have opportunities for monetisation. There’s no point in having a podcast if you can’t gain financial success from it. That’s just a hobby. Who does it well - can you provide some examples of best practice in marketing? Michael: It’s hard to go past the big brands like Red Bull, Go Pro and Airbnb for me in the social media and content marketing space. Reb Bull are a great example of an organisation with big ideas and big activations combined with a carefully crafted distribution strategy that relies more on content discovery and sharing, by positioning themselves as a media publisher in their own right. I would put GoPro in the same bucket as Red Bull (it’s no wonder they developed a corporate partnership) but I love that they do not rely on big flashy campaigns to drive relevance and interest – their customers do it for them which is a great example of how to drive authenticity in a trust economy. Lastly, Airbnb have come leaps and bounds over the past year or two (even picking a few awards in the process). Their presence in social relies on the co-creation of content from its customers, as they realise the best way to engender trust is to allow their passionate communities to build it for them. From what I have seen, they also place a premium on crediting their customers’ activity through social – understanding that with the rise of instant gratification comes the expectation of instant acknowledgement. Rachel: Jeff Bullas – an incredible example of thought leadership. Others that spring to mind are Mari Smith and Tim Ferriss. Both are excellent at practicing what they preach.